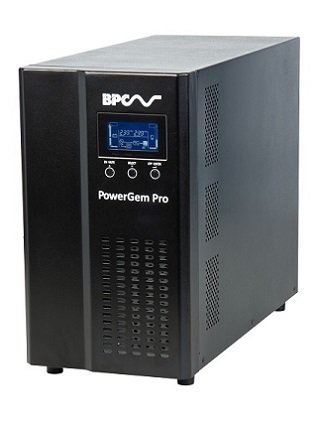 The front display panel has a precise backlit LCD with comprehensive controls allowing all the key parameters to be accessed ensuring the IT Manager is shown the complete operating status of UPS and its alarm indications. Part of the unique design of the PowerGem Xtreme is to improve the performance in adverse site conditions with a wide input voltage window ranging from 110V up to 300V without the need for the system to transfer into battery mode. It is anticipated that the PowerGem Xtreme will most often be installed into an office workspace and the environment will be an important factor in the design. Therefore, by using modern high technology, the noise produced is reduced to less than 50dBA. The intelligent microprocessor based control system allows for very low power consumption offered by the interactive ECO Mode of operation which provides efficiencies as high as 98%. For mission critical applications requiring longer runtime of higher specification batteries, additional battery cabinet can be added. 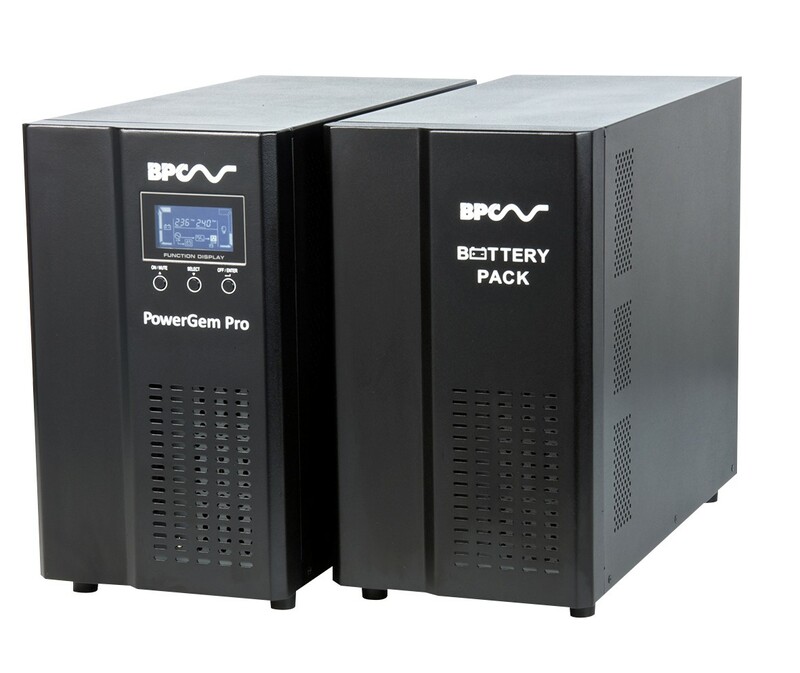 These have been designed both technically and aesthetically to complement the UPS, forming a combined unit which can be easily located without need for special site considerations.